Hot damn, what a day! Guitar lesson and then an afternoon of erasing some rubber from the dregs of my rear Bridgestone. 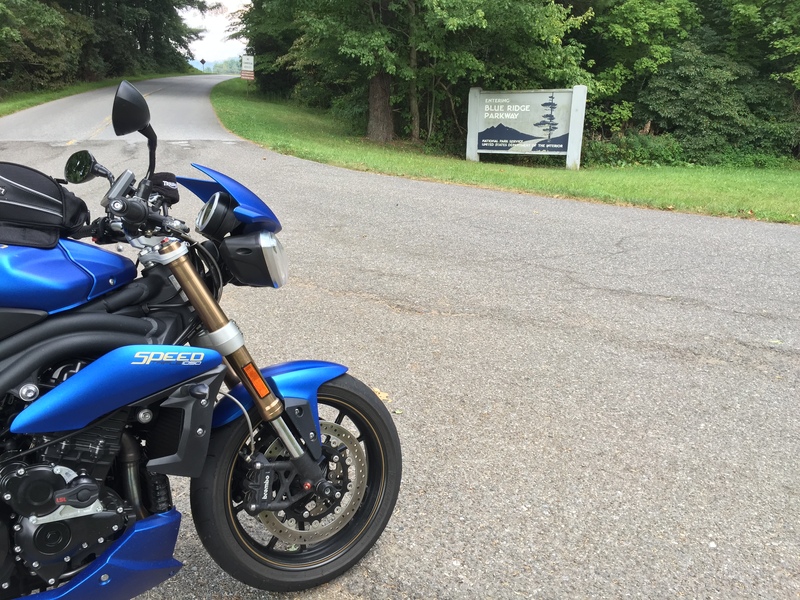 While the Blue Ride Parkway isn’t the end-all of roads it can be pretty fun in some spots and during rush hour there is far less traffic than other roads. Spot some wildlife, rock on some nice sweepers, and let the sweet Triple blast away what ails you. < Previous Not a vine but a beanstalk.